The immense, ruined Bahla Fort, with its walls and towers of mud brick on stone foundations and the adjacent Friday Mosque with its decoratively sculpted prayer niche (mihrab) dominate the surrounding mud-brick settlement and palm grove. The fort and settlement, a mud-walled oasis in the Omani desert, owed its prosperity to the Banu Nebhan tribe (Nabahina), who dominated the central Omani region and made Bahla their capital from the 12th to the end of the 15th century. From there they established relationships with other tribal groups of the interior. Bahla was the center of Ibadism (a branch of Islam), on which the ancient Omani Imamates were based and whose influence can be traced across Arabia, Africa and beyond. The extensive wall (sur) with sentry walk and watchtowers enclosing the labyrinth of mud-brick dwellings and cultivatable land has several gateways. The oasis is watered by the falaj system of wells and underground channels bringing groundwater from distant springs, and by the management of the seasonal flow of water. Getting to the Bahla Fort is pretty easy to do. It is a short drive from Nizwa, which is itself an easy 90-minute drive from Muscat. However, the view you get in this photo is about as much of the fort as you are going to see for the time being. They are renovating the fort so you can’t go inside. There are no signs or anything set up around the fort for tourists. If you are in Nizwa it is probably worth taking a look as it is so close, but a much better experience can be found at the Nizwa Fort. Bahla Fort in Oman is a set of battlements and four historic fortresses that was recognized as a UNESCO World Heritage Site in 1987. The area covered and protected as part of the UNESCO recognition was expanded in 1988 until 2004. The fort is located at the foot of Djebel Akhdar highlands. These historic structures were constructed from the 13th to the 14th centuries during a time wherein Bahla was at the height of its prosperity. Today, it is one of the most famous tourist attractions in Oman wherein tourists are treated to impressive walls at every turn of the road. It is no doubt a dominating scenery as these walls stretch for kilometers! There are plenty of ways to get to Bahla Fort in Oman. The best option is to rent your own vehicle to drive to the site yourself, especially since you will be driving through Nizwa and its surrounding villages. This will give you the opportunity to stop and sight-see along the way. You can also take a bus to Bahla Fort. There are bus services available from Muscat and you must take the route going to Buriami or Ibri. Both of these bus routes will pass Bahla and Nizwa, so you can stop there. 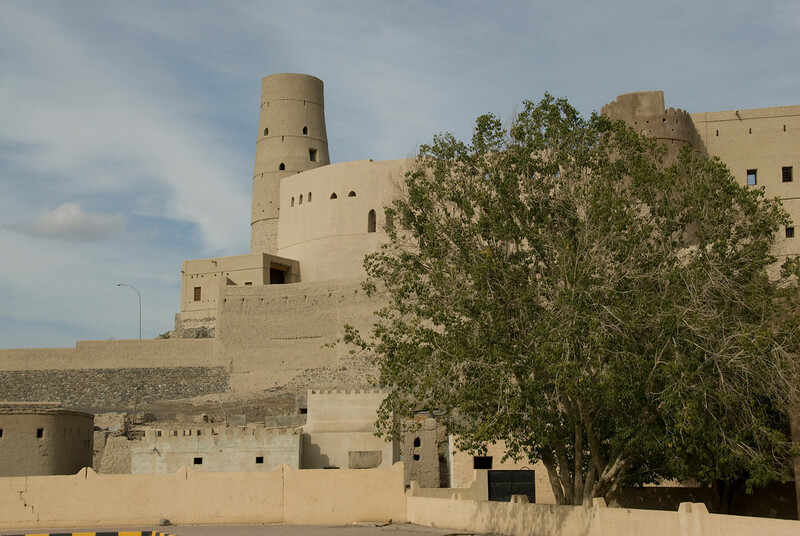 For your convenience, you can also take a tour to Bahla Fort. There are several companies that offer tour to the site. 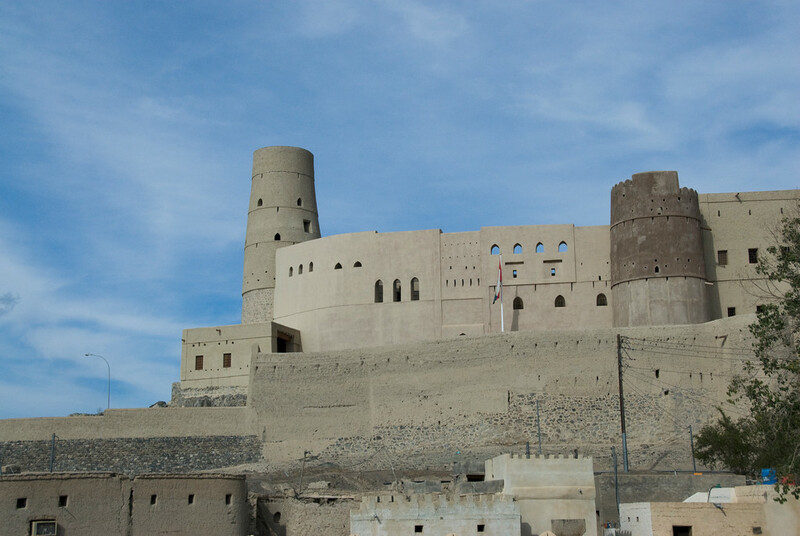 The structures that makeup Bahla Fort in Oman include walls, towers, and fortresses. This is the largest fort in Oman. These structures are made out of mud brick with stone foundations. Both the fort and the surrounding settlements form a mud-walled oasis in the middle of the Omani desert. The ruined adobe walls of the fort and its towers are approximately 165 feet in height from its foundation. The fort in Bahla is notable for being the perfect example of a fortified oasis settlement during the medieval Islamic period. In addition to its showcase of exemplary Islamic architecture and construction techniques, they also utilized advanced water engineering technology that was ahead of its time. The water system within the fort and its surrounding settlements were used for domestic and agricultural purposes. The cultural importance of the settlement within the fort is further highlighted by the presence of the adjoining Friday mosque, which features a highly ornate mihrab. There is also an old souq within the area that features numerous single-story shops that are divided onto narrow lanes. The 13th-century forts in Bahla were in a delicate state by the time it was inscribed into the list of UNESCO World Heritage Sites. The rainy season further threatened the structure of the forts and its walls such that it gets closer to collapsing. Hence, conservation efforts were initiated by UNESCO in 1987 along with its naming as a world heritage site. In fact, it was added to the list of World Heritage Sites in Danger in 1988. 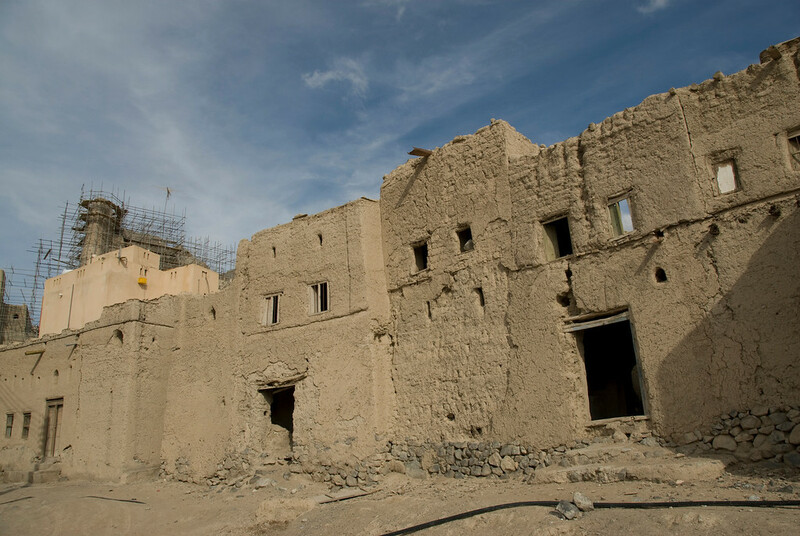 The official restoration projects were commenced in the 1990s and the Omani government spend $9 Million for the project. During this time, the fort was closed from tourists and many of the parts of the fort were supported by scaffolding. By 2004, it was no longer part of the List of World Heritage Sites in Danger. View the complete list of UNESCO World Heritage Sites in Oman. Bahia sounds wonderful. Your travels sound like fun. I wish I could be doing that!